TEHRAN (Tasnim) – Bavar-373 long-range air defense missile system, designed and manufactured by Iranian experts, will be mass produced after undergoing practical tests that will include interception of ballistic missiles, Defense Minister Brigadier General Hossein Dehqan announced. 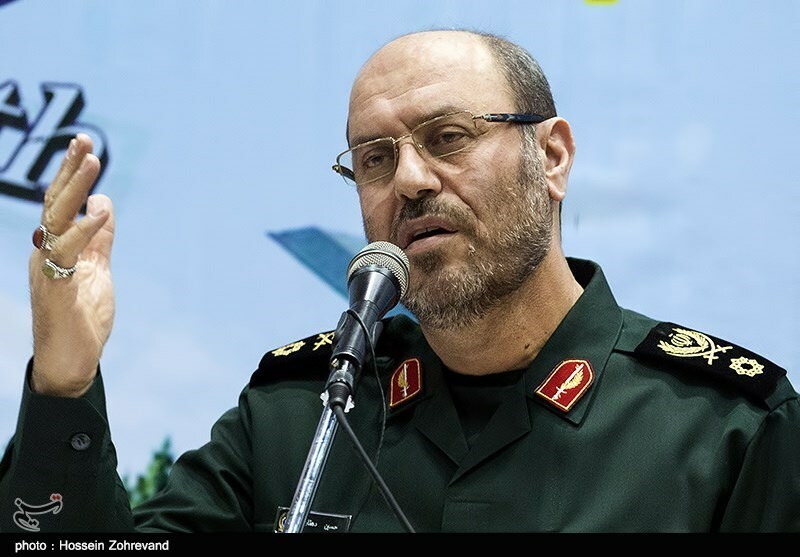 Speaking in a televised interview on Sunday night, Dehqan said different components of the domestically-made air defense system have been tested and the system itself has been deployed to the launch area to be tested. According to the minister, the first unit of Bavar-373 will be tested by the end of the current Iranian year (March 2017). President Hassan Rouhani has requested that the first practical test be carried out for intercepting ballistic missiles, Dehqan noted, adding that the air defense system will be mass produced afterwards. In a Sunday ceremony attended by President Rouhani, the Defense Ministry displayed components of Bavar-373, including its launchers and fire-control radar. A distinguishing feature of Bavar-373 is its vertical launching system with square launchers, mostly used for air defense on warships. It also uses a long-range, phased array fire-control radar, dubbed Me’raj-4. Bavar-373 employs three different types of missiles to hit targets at various altitudes. A locally-produced super heavy military vehicle, known as Zoljanah, carries the launchers of the Iranian system. Iranian military technicians have in recent years made great headways in manufacturing a broad range of indigenous equipment, making the armed forces self-sufficient in the arms sphere. Tehran has always assured other nations that its military might poses no threat to regional countries, saying that the Islamic Republic’s defense doctrine is entirely based on deterrence.